I’ve often heard “let it roll off like water from a ducks back,” but it’s so very hard when you hurt. Once again I seem to be at this point in life and if you are like me, when it rains it pours in Three’s so there is never one hurt at a time and they are from every direction for Both of our Families. Emotional or tough times hurt us all so deeply that for me, I need to use wisdom and that’s tough when you hurt. In my opinion what works for me is to get lots of good sleep, do an activity that’s emotionally Fun for me, watch/listen to something that will make me laugh, not make any major decisions for 24 hours and I need to saturate myself in the Word. Again this is me and yes I am a believer with my own personal relationship with God! I chose to surround myself with like-minded friends and family but learn to share or gain directions from like-minded Friends. Why, for me Right Now as much as I love and need my families input when sharing they only support me without looking at the big picture, we need Honest Constructive direction that comes from true friends that love us by wanting situations to be better not just band aided until the next time. I am thinking of my BFF who I so appreciate as she WILL tell me when I am being selfish or over reacting or when something does not look good no matter how much I like it! I have grown to appreciate her wisdom along with the “take it off now,” especially when I see myself in a photo with the outfit she told me not to purchase but I did, then I scream at how I look, she just smiles, makes no comment. Also I was reminded of a great story shared by a classmate that I hope you like (it’s just a story the Hubs and I are GREAT! ): As a little girl she continues to remember how one night after a hard day of work her Mother fixed breakfast for dinner but burnt the biscuits on the bottom. When Mom sat the food in front of her husband he simply slathered butter/jelly on the burnt part and ate several biscuits then complimented his wife on a great dinner, at which time she stated sorry I burnt the biscuits. That night before bed my friend said she asked her Dad do you really like burnt biscuits which he replied “your Mother had a rough day and sometimes I do like burnt biscuits because I love Mom more.” Every time I think of this I am reminded we need to “pick and chose our battles,” sometimes (the key word here) burnt biscuits are better than ‘burnt words.’ So, today I am grateful for this story along with all the years of Joyce Meyer teaching as it’s making these “lows” easier (But I Am NOT there yet peeps!) so I am still learning how to let that water roll off and let it go to God’s will. One of my current lows is forgiving as forgiveness is necessary for my mental health but I have found that I also need to set and keep boundaries for my future emotional hurts. Set your necessary boundaries but love people through the hurt, sometimes the best gift you can give yourself is to forgive others even if they don’t think they did anything wrong or accept your apology. This is really tough for me so personally I look at these verses for help: Proverbs 4:23 and Colossians 3:13-15, again just say’en this is my way and again the Hubs and I are Great! On a FUN Note … Oldsmar Top of the Bay Oktoberfest is coming up and when I worked at the chamber we grew this event with so many added Fun activities that I Always Promote Oktoberfest! 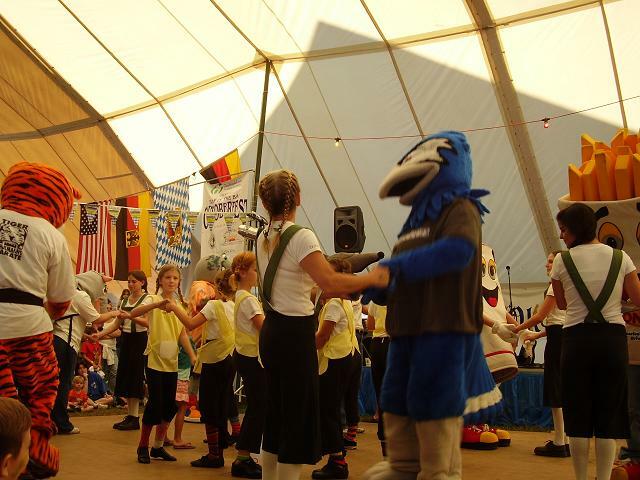 You must go October 18-20 to enjoy the oomph Bands, watch Shoe platter Dancers, enjoy Real German food, participate in Log Sawing, Keg hurling and Stein Holding contests then close out your visit at both the Carnival area (be a kid again!) and Art/Craft Vendors, forget promotion heck I am pushing this event! Until next time, keep it Real … REAL FUN that is by visiting Oktoberfest Oct 18-20 and let me know what fun you had! CONGRATS Nila on your retirement!! Location of OKTOBERFEST is Tampa Bay Downs, 11225 Race Track Road, Oldsmar, FL and the Parking is FREE cost to enter is $5 per adult. ENJOY and let me know what you think! Thanks for following this public blog, blessings Friend!